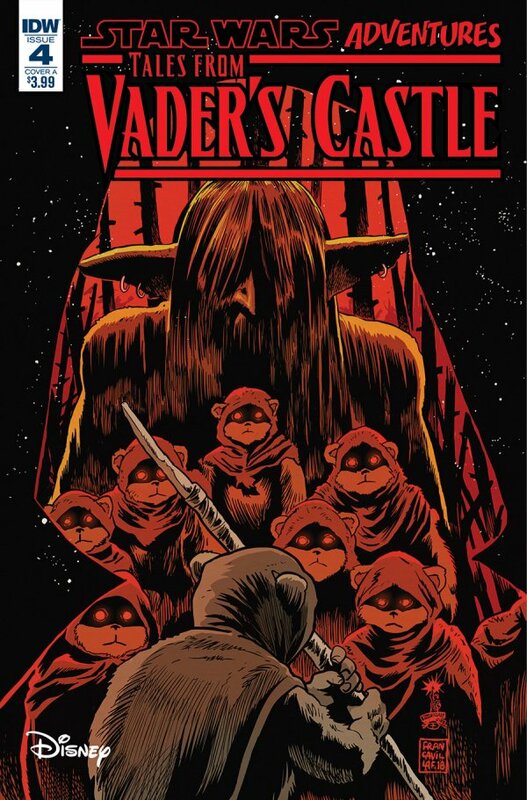 Inside Vader’s castle and things are getting creepier! This time the tale come from the droid and is set on the forest moon of Endor…. it’s nice to see Chirpa, as I remember my Ewoks TV series (yes, I’m that old) What follows is a good tale from the Ewoks. We’ve got an evil that needs a sacrifice, as well as a good Wickerman reference! I like the way it all built up. We then get back to the horror in the castle, and what we all knew is coming is getting closer as the team are shrunk in size. Vader next week? 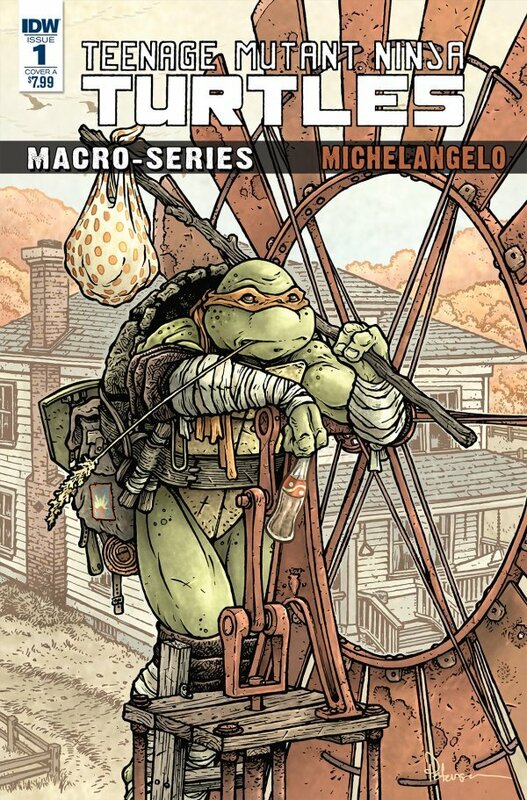 Michaelangelo is featured this week in these one-shots. This one really gets to the core of Michaelangelo, and makes me believe he will be key to what comes next between the Turtles and the Foot. Shredder may be gone and Splinter is in charge, but there is still something going down. This issue may be one of the first real chinks in that armour. This issue was really good, with some great character moments from each character and the battle at the end was well done! This new series is part of IDW’s Black Crown imprint. Wow! this is a real dark read. There is some serious cat and mouse going on in this issue. It introduces us to the two main characters well. Sort of – the killer changes as he seems fit! I like the way that played out all the way to the end! Ricky seems to be a very resourceful character, but I can see her getting into other trouble before the end! 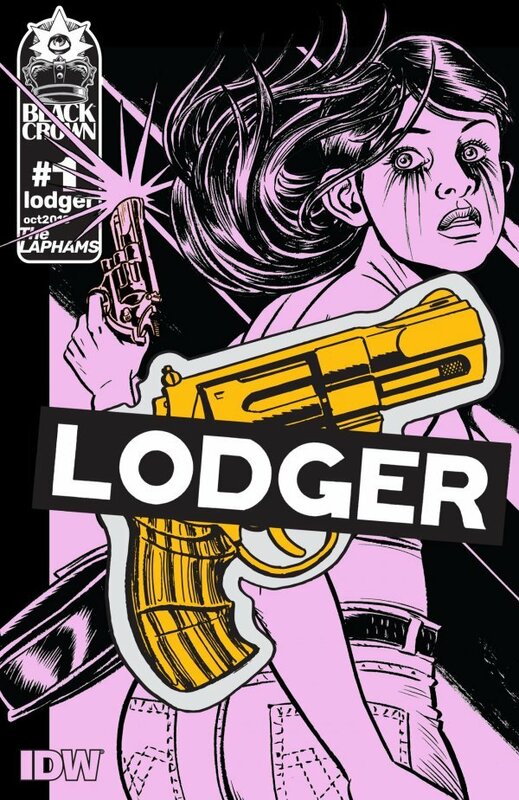 I enjoy the art in this, the black and white adds a really good tone to the story – making everything seem bleak and small-town! This will be an enjoyable series to work through! Celebrated British writer Paul Jenkins takes his first shot at Judge Dredd! The death of a genetically modified toxic waste worker leads to a startling discovery that fuels anti-immigration fervor and threatens to spill over into the streets of Mega-City One. Cutting satire and gritty action from writer Paul Jenkins (Hellblazer, The Inhumans) and artist Marco Castiello (Star Wars)! Covers by Jenkins’ Peter Parker: Spider-Man teammate Mark Buckingham (Fables, Marvelman)! Painted variant covers by concept artist John Gallagher (The Flash, Supergirl)! Ask your retailer about the rare black and white variant cover by Mark Buckingham! Ask your retailer about the super-rare variant cover by Marco Castiello! 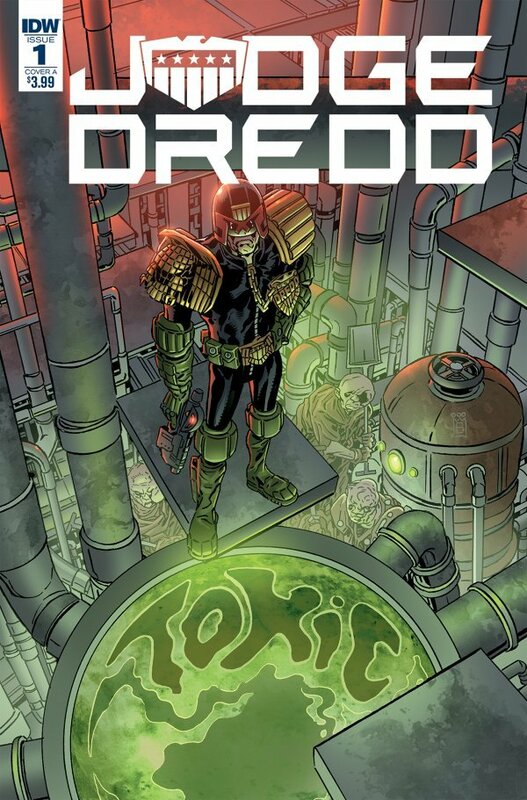 A new series start for the IDW version of Judge Dredd! What looks like a normal death seems to be something more as Dredd, Anderson and the Judges now have to deal with something bigger and deeper in the world! BTW – there’s an interesting looking protester against the Aliens!